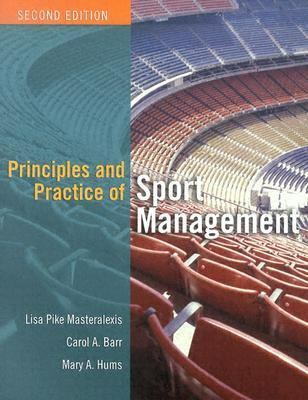 Principles and Practice of Sport Management, Second Edition provides students with solid fundamental information on what they need to do to be successful in the sport industry. Updated and expanded, this best-selling text offers a unique blend of information on the foundations and principles on which sport management operates as well as how to apply those foundations and principles to the sport industry. The authors, all well-renowned professors in sport management or sport administration, have produced a text that is thorough, practical, and lively, and which lays the groundwork for students as they study and prepare for successful careers in sport management.Barr, Carol is the author of 'Principles and Practice of Sport Management', published 2004 under ISBN 9780763726232 and ISBN 0763726230.